BADGER — A benefit for Amy Pederson will be held from 4 to 7 p.m. Saturday at the Badger Lutheran Church. Pederson was recently diagnosed with the rare cancer, thymic squamous cell carcinoma at the Mayo Clinic in Rochester, Minnesota. She is a life-long resident of Badger and is the daughter of Bob and Janet Pederson and mother to Dalton Matter, 20. 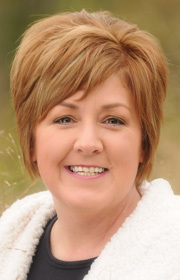 She graduated from Fort Dodge Senior High in 1988 and has started chemotherapy. Following the treatments this spring she will be scheduled for surgery with possible more treatments to follow. The evening festivities consist of a freewill donation dinner of Badger Burgers, potato salad , baked beans and beverage along with a bake sale and a silent auction of gift baskets and items. Contact Tammy Armstrong 515-571-2540 or Jeanie Lemberg 515-571-3541 for further information. An account has been established for donations at the Availa Bank located at 130 N. 29th St.